We have taken the time to research a large array of life insurance companies in order to familiarize ourselves with the marketplace. We do this so we can best serve our clients by providing them with the best companies and policies available. In the following Horace Mann Insurance review we will cover the history of the company, its financials, ratings, products and services. Is Horace Mann the right insurer for you, based on your needs and goals? History – Founded in the middle of the 1940s, Horace Mann is a company whose groundwork was laid by two teachers located in Springfield, Illinois. After spotting a gap in the market, they decided to offer high-quality auto insurance products to all teachers in the region. Over the years, the focus has remained with educators but the product range has expanded to include home insurance, renters insurance, liability insurance, disability insurance, and, of course, life insurance. Across the US, Horace Mann now cover over 4,100 different school districts as well as being publicly traded on the New York Stock Exchange. With a very clear vision that teachers look after our next generation of workers, politicians, sports stars, musicians, and leaders, Horace Mann help the professionals to plan financially for the years ahead. In total, Horace Mann has assets of nearly $10.6 billion and helps to serve over 4,100 public school districts with over 700 representatives. In terms of customers, it’s thought they have around 360,000 families with insurance products of some sort and this number is steadily growing as time goes on. As a result of these relationships, there’s over $17 billion worth of life insurance in-force with retirement product assets worth nearly $6.5 billion. A.M. Best – As we always do, we’re going to start the official agency rating section with A.M. Best. For many years, they’ve been judging all sorts of companies to then provide a grade based on their financial position. For Horace Mann, they have an ‘Excellent’ rating of ‘A’. 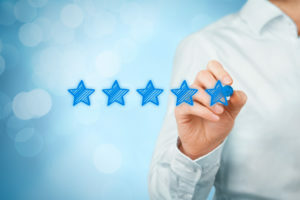 Well within the ‘A’ range that gets so much attention in the life insurance industry, this rating means they’re in a good position to continue operating and pay all claims that happen to come their way. Not only do A.M. Best focus on the short term, they also provide a Long-Term Issuer Credit Rating and this allows us all to see how their financial picture is going to look in the years to come. Towards the middle of 2017, the company were reassessed and Horace Mann received a rating of ‘a’. As before, this means they’re essentially financially sound and will be for some time to come. Moody’s Investor Services – At this point, we should note that there are a number of subsidies to the Horace Mann brand including Horace Mann Insurance Company, Horace Mann Life Insurance Company, Horace Mann Lloyds, Teachers Insurance Company, and Horace Mann Property & Casualty Insurance Company. This being said, they all fall under the same umbrella and they all boast the same financial ratings. With this in mind, Moody’s has awarded Horace Mann with an ‘A3’ rating. As a strong financial rating, this isn’t the best but it’s also a long way from being the worst financial rating which means you can be happy with what’s on offer. Standards & Poor’s – Next up, we have another of the largest financial institutions and they provide financial ratings for life insurance companies after assessing their credit history. If a good rating is obtained with Standards & Poor’s, it means the company can pay all obligations and liabilities as time moves forward. For Horace Mann, the rating is an ‘A’ and it follows the same theme as we’ve seen all the way through really. Once you’ve seen the financial rating from one official agency, the ratings from others confirm and solidify the company’s position. So far, we’ve seen a solid set of financial ratings and, as we see one after the other, it should be easing your fears regarding any potential life insurance policy. Fitch Ratings – Finally, there’s one more finance agency with their eyes on Horace Mann and they come in the shape of Fitch Ratings. Just in case you were worried, they round off a successful set of positive results with yet another ‘A’. With some life insurance companies, you’ll get the odd poor result to give you something to think about but this isn’t an issue for Horace Mann and they’re in a financially-sound position for us to recommend their products both now and long into the future. Better Business Bureau – When it comes to the BBB, we can look at the whole Horace Mann umbrella and see a rating of A+. As we know, the Better Business Bureau assesses all companies based on a few different criteria including time in business, marketing practices, advertising issues, and customer complaints. For Horace Mann to work hard and achieve a rating somewhere above 97 points from 100, this is brilliant news and shows how responsible they are within the market while also being willing to help you with any problems that might arise. As we saw previously, Horace Mann has numerous insurance offers for all teachers including car and home. However, we’re going to be focusing on the company’s life insurance policies. If you’re looking to protect your own life in some way and allow a family member to receive a lump sum death benefit should you pass away, take a look at the policies below and see if any meet your needs. Horace Mann offers both term life vs whole life insurance. It is important to understand the differences between the different policies in order to make the best long term decision on which type of insurance is right for you. Level term life insurance provides a fixed death benefit for the life of the term. Once the policy expires the policy renews annually. You can also choose to convert the term life policy to a permanent policy before the term expires. What the biggest disadvantage of choosing term life insurance (apart from the fact it has an end date)? Compared to the permanent options, it has no cash value and no opportunities to build an amount to the side of the policy. Well, Horace Mann has addressed this by creating a hybrid product where you can enjoy the best of both worlds with the company’s cash value term life insurance. Over time, the cash value component will grow and you can use this in a couple of different ways. First, you could use the cash outright if you decide you no longer require the coverage. According to tax laws, you won’t have to worry about tax for any amount up to what you’ve already paid in premiums through the years since the premiums were paid with after tax dollars. After this, the rest is seen as income. Second, you could use the cash value to purchase a paid-up life insurance policy and use this as a type of final expense burial insurance policy. Horace Mann Life Insurance includes a full suite of permanent life insurance coverage options, including whole life, universal life, indexed universal life and variable universal life. Let’s take a look at each in kind. With the first permanent solution from Horace Mann, this whole life insurance policy builds cash value, premiums will remain the same from the first day to the last, and your policy can never be canceled so long as you keep paying the premiums as expected. As a simple permanent life insurance policy, this is one that does the basics right with no bells and whistles. If you’re looking for a little more flexibility, there are certainly more options available. Universal life insurance provides more flexibility than traditional whole life. The basics remain the same with the death benefit for the beneficiary alongside cash value that builds over time. However, with universal life, you can change your premium payment up or down, depending on minimum cash value requirements, and you can also adjust your death benefit to more directly reflect your changing lifestyle. Indexed Universal Life (IUL) is similar in flexibility with ordinary universal life. However, the policies differ in how interest is credited. You have the option of leaving your cash value in a fixed account to earn interest according to the rate declared by the insurer in advance. Alternatively, you can allocate all or a portion of your premium into indexed accounts that track a major indices, such as the S&P 500. The insurer uses a formula based in part on the performance of the market indices it tracks to arrive at how much interest will be credited to your cash value in the indexed account. The account is subject to a cap and floor and participation rate. The cap represents the maximum interest that will be credited. The floor represents the total return that is guaranteed, which helps protect against market loss. And the participation rate determines how much of the indexed returns your account participates in, ranging typically from 50% to over 100% depending on several factors decided by the insurer. Often shortened to VUL, this insurance policy from Horace Mann is exactly the same as the universal life policies we’ve already seen in regards to payment flexibility and adjustable death benefit. However, variable universal life actually allows you to invest directly in the market via variable sub-accounts, that act similarly to mutual funds. Of course, this is a riskier solution and you need to know what you’re doing because you’ll be in charge of decisions. Furthermore, the floor of 0% interest (seen in the IUL policy) is removed now so you could actually lose money. If you make poor decisions or the market turns, you may lose money so you really do have to stay on top of your policy for it to work. Horace Mann also offers disability income insurance. If you have never considered disability insurance, you might want to take a moment to consider the fact that you are much more likely to become disabled by age 65 than die. And if you were disabled, how would you pay for your life insurance premiums, your mortgage, your bills, food, gas, etc.? Disability insurance is one of the most neglected types of insurance coverage but also one of the most important insurance policies out there. It can provide a much needed income stream when you and your family need money the most. And depending on the policy type and the benefit period, etc. you can find affordable long-term disability insurance policies that can fit into any budget.